Hello there! I took an intentional break from blogging...okay it's just been a week... because I just couldn't get everything done. Didn't feel like taking pictures either even though we had two warm days which presented an opportunity to dress nice and take pictures but no, I did not feel like it it. We're back in the cold snap and my no 1. priority is keeping warm and staying comfortable. 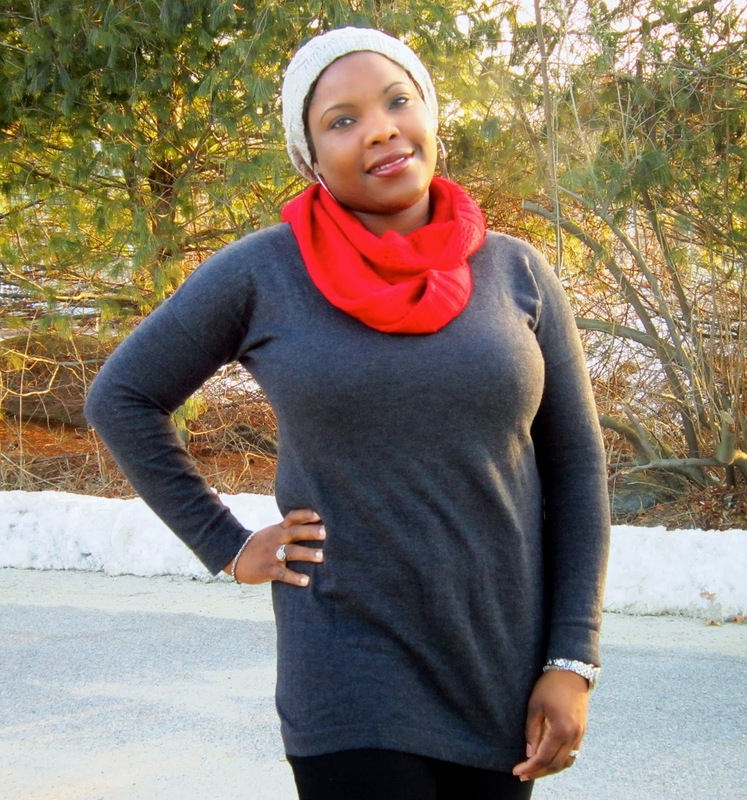 So another sweater tunic, thick scarf and beanie look for you. 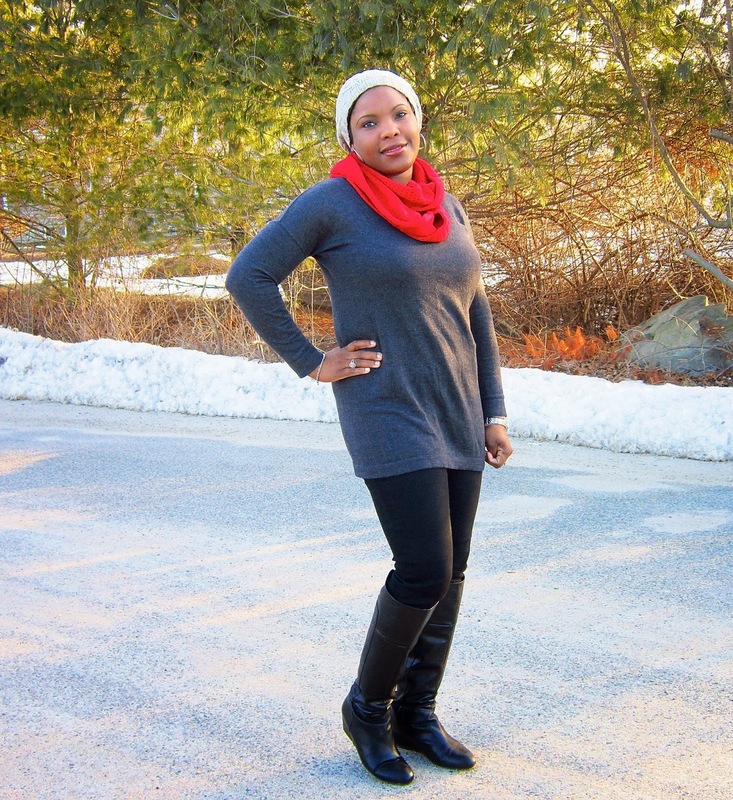 If you love tunics and you have a big mid section, big hips or big behind, opt for a loose fitting one (not too loose) for a more flattering fit. I mentioned in a previous post that I ditched all my fitted sweater tunics and dresses because they hug in all the wrong places. Yeah...I love tunics...too....and grey is one of my favourite colours...so a double winner! 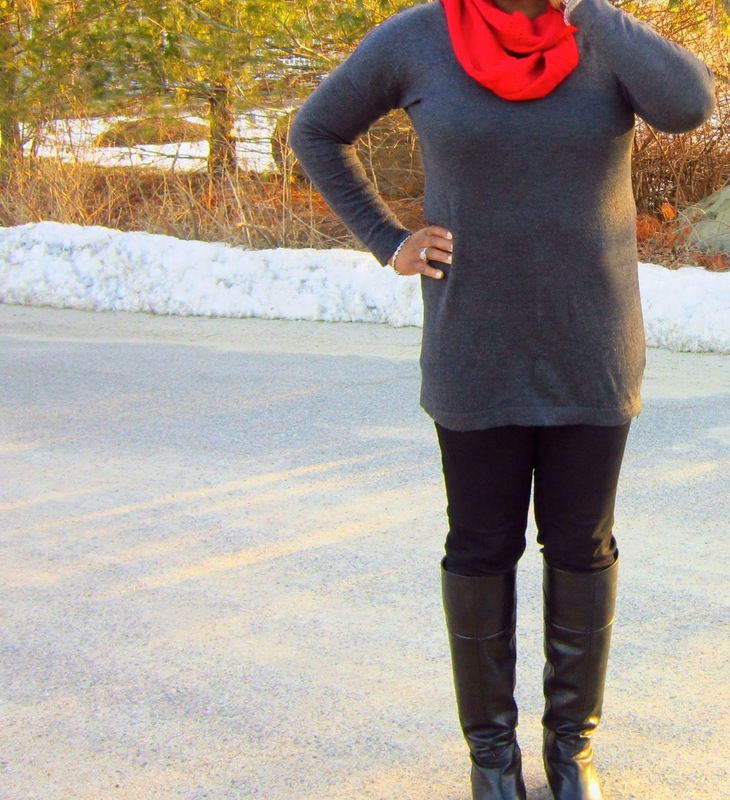 I love this tunic sweater!